Of course, included in the inaugural inductions in this new category was “The Twist” by Chubby Checker. The record was first recorded and released in 1960 on Cameo’s Parkway label. 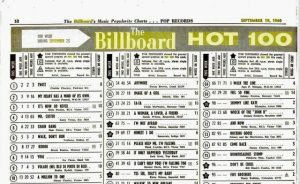 A Baltimore disc jockey took a chance on the record, the response was tremendous and it was soon climbing the Billboard Hot 100 singles chart. It hit the #1 position on the Hot 100 as the dance craze swept the country and the world. Chubby was in great demand for TV and personal appearances and even hosted his own episodic dance instruction program carried by hundreds of stations. 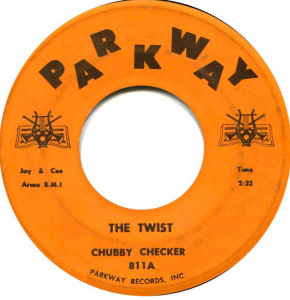 The excitement the record had caused didn’t abate and was such that Chubby’s “The Twist” went back up to the #1 position at the beginning of 1962. It was the first time a record had occupied the #1 slot in two different run-ups, a feat unequaled to this day. 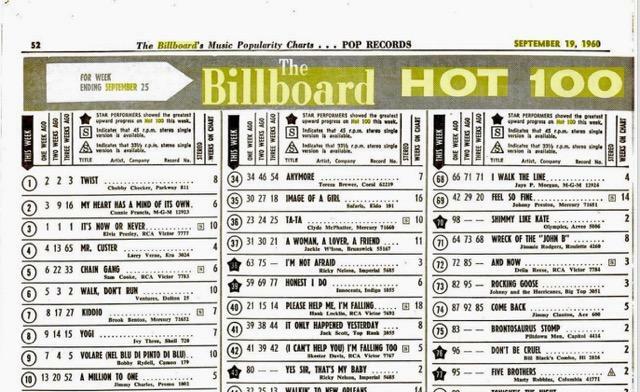 When Billboard compiled its list of “All-Time Hot 100 Top Songs” in the first 50 years of the Hot 100 Chart, “The Twist” by Chubby Checker was, yet again, #1. The record was added to the National Recording Registry of Library of Congress and it was inducted into The Recording Academy’s Grammy Hall of Fame in 2000. Chubby’s career as a premiere entertainer has never abated over the course of the ensuing fifty-eight years. He has a raft of upcoming performance dates that will see him twisting in Texas, New Jersey and Las Vegas, among other locales. When asked about the honor that has been bestowed on the record that first brought him to international prominence, Chubby was analytical in his response. “’The Twist’ is the style that we dance on the dance floor. ‘The Twist is in the Rock Hall.’ Isn’t that great?” He further explained that by “style,” he is describing a new dance paradigm. “I’m looking at the girl…the girl is looking at me. We’re not touching, but we’re dancing, exploiting our sexuality while fully dressed.” He went on to discuss the fact that “The Twist,” along with the Pony, Fly and the Shake foster the same approach as one would to rock, pop and hip-hop dancing. “The style is just like ‘The Twist,’” he observes. 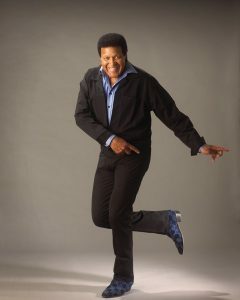 Somewhere on the planet it’s dark and someone is boogieing and Chubby Checker is the boogieman. Or someone is in the gym exercising to music, working up a sweat to The Twist, The Pony, The Fly and The Shake. “Before Chubby Checker and ‘The Twist,’ this didn’t happen,” he says. Except for the pre-rock era’s “White Christmas” by Bing Crosby, “The Twist” was the only record to have achieved Billboard Hot 100 #1 status two separate times. This unprecedented feat has never again been accomplished by any other record in the subsequent 56 years.